Available Colors: White, Royal Blue, Lime Green, Red, Black or Pink. Second Location: Add $.50 per color, per piece. Shipping Weight: Cello Bag, 250 per carton @ 31 lbs. 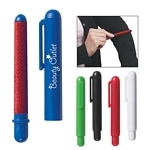 Customized 5-in-1 Lint Brush (Item #HT-7503) is Promotional with a Free Artwork Imprint. Promotional Lint Brushes like our Personalized 5-in-1 Lint Brush are decorated with your logo with no setup fees. 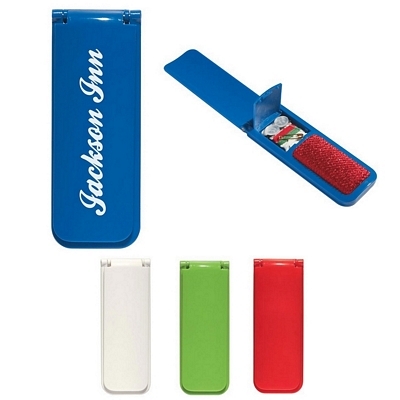 Customized Pocket Lint Stick Brush (Item #HT-7506) is Promotional with a Free Artwork Imprint. Promotional Lint Brushes like our Personalized Pocket Lint Stick Brush are decorated with your logo with no setup fees. Customized Mirror with LED Light Item #HT-7507 is Promotional with your business logo for advertising to clients. 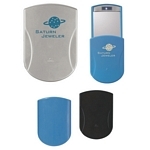 Customized Mirror with LED Light and other Promotional Toiletry Mirrors are decorated with No Setup Fees. 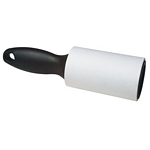 Customized Rolling Lint Brush Item #HT-7509 (Minimum Order: 250). Promotional Lint Brushes like the Rolling Lint Brush can be personalized with your business logo and with No Setup Fees.